Zenjuries for Carriers. All the features of Core Zenjuries plus branding and tracking. Check out some of the features below. 20 million lines of code and growing daily. 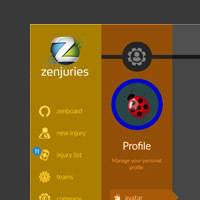 We constantly improve and refine the Zenjuries concept and software. We code every day to ensure that Zenjuries runs on the newest and best performing technology for all of the diverse parties of Workers' Comp. Insurance carriers have been the target of attorney advertising for decades without a single word of defense. Basically, the insurance industry has ceded the territory through the omission of mounting a defense of any kind through the decades. Therefore, users of workers’ compensation insurance have taken a very dim view of the system before an injury ever occurs. On top of that, most insurance providers still operate on a case load basis where one case adjuster can have anywhere from 50 to 250 open cases to work on every single day. It is impossible to give the users the “instant gratification” that the world is trained to expect in every other area of their lives. Until now. Zenjuries is custom software that empowers every single policyholder to participate as much or as little as they would like. The results are policyholders with “vested interests” in the outcome of their employees experiences as well as in the total claims costs associated with the injury experience. 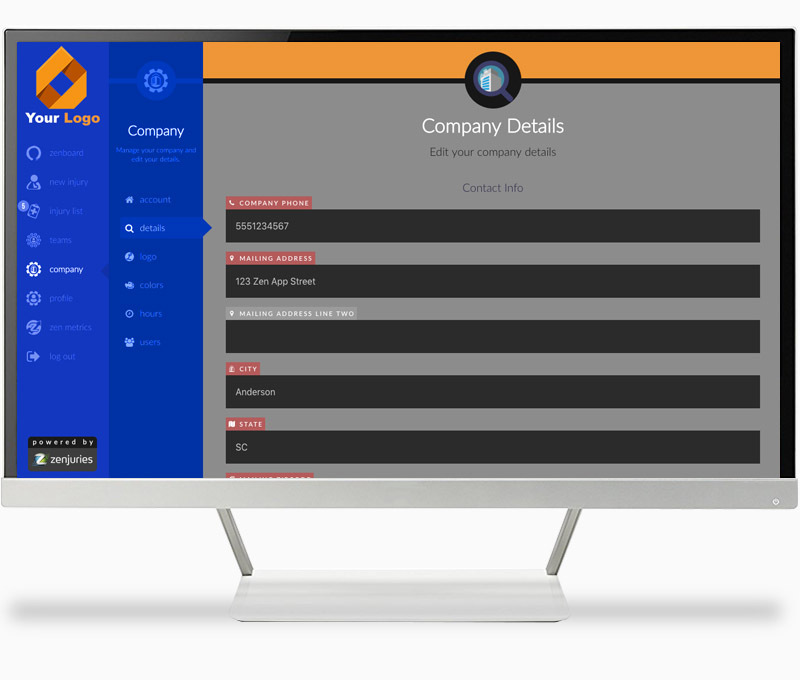 Our custom software provides easy to use platforms that creates TEAMS of businesses, agents, carriers, and medical providers coming together to produce a brand new user experience. The experience is so user friendly due to the ease of use and team collaboration that is 100% automated through our software. The results: much lower costs and user experiences that are world class. Zenjuries has full support for customized branding, whether its just a logo or full colorization options. You get to use the same robust software that makes Workers' Comp easy, but you can have it match your own branding and marketing. Along with additional tracking and visual reports, zSource is a great option for Carriers. We will format and customize your logo, adding it to your Zenjuries instance. Custom avatars and team icons are available, along with additional color palattes. Colorize the look and feel of Zenjuries to match your branding and marketing. Branded Zenjuries for your clients and shareholders. All the great features of Core Zenjuries plus more. Request a demo of Zenjuries for Carriers. You will be contacted shortly after submission to schedule your demonstration.